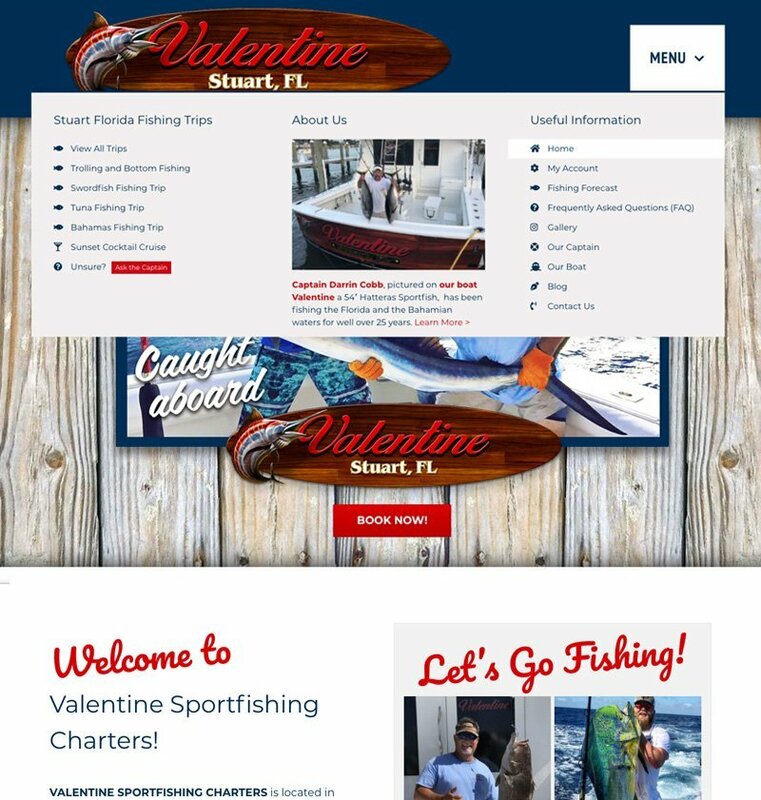 Valentine Offshore Charters, a Deep Sea Fishing Company located in Stuart Florida, reached out to Evans Design Studio to completely revamp their eCommerce website so that they could take and manage their fishing trip bookings online. 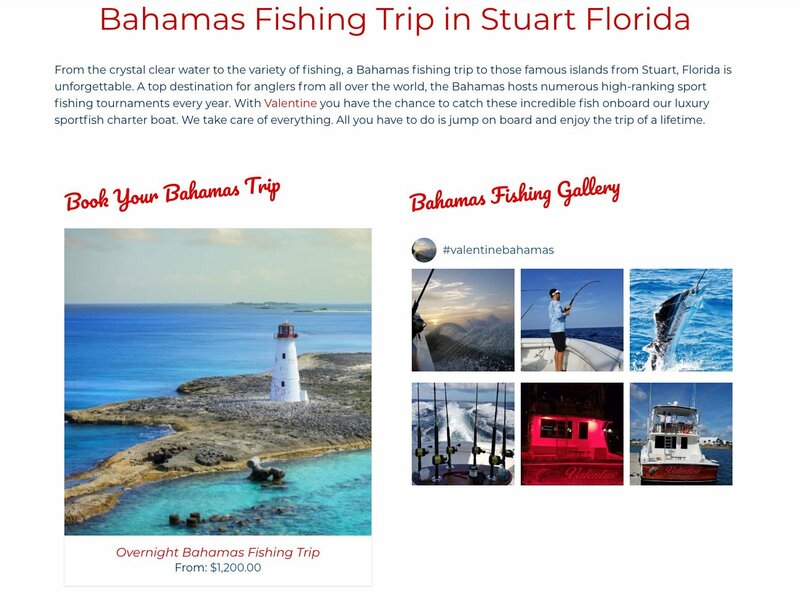 Valentine’s goal was to improve SEO & visibility by developing an online marketing tool that not only integrates with their Instagram account but that also easily books multiple trips and functions as a master calendar for available fishing trips. The new Website is built on WordPress and WooCommerce using the Fusion Page Builder and Avada. We leveraged WooCommerce’s booking plugin to streamline the User Experience (UX) and internal management of the calendar. 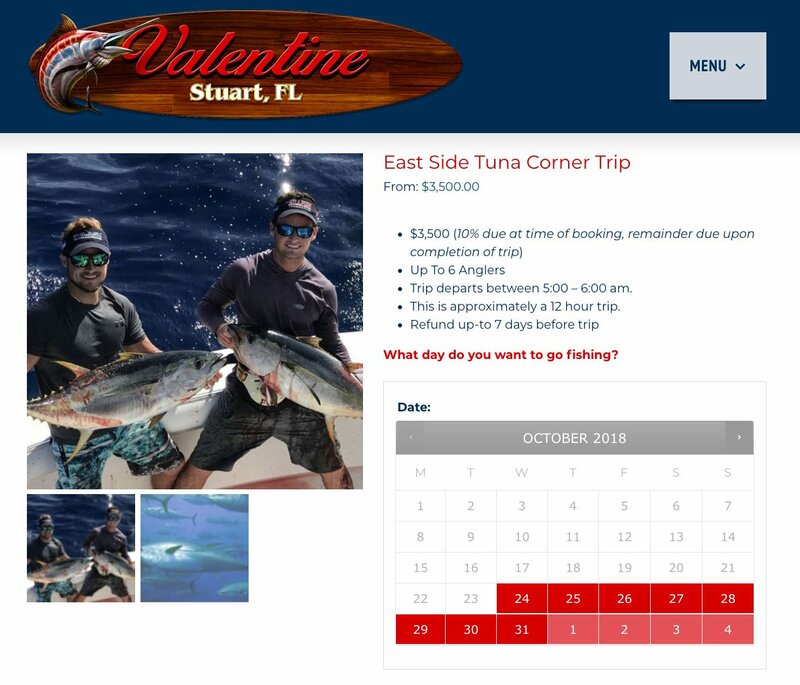 This combination provides Valentine Sportfishing Charters with a business platform to grow on for many years into the future. The advanced backend administration interface means a great user experience for Valentine employees. This in turn means that it can easily and effectively support all of the company’s customer facing and marketing efforts by seamlessly integrating across all channels.